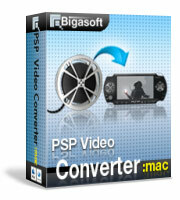 Bigasoft PSP Video Converter for Mac, a professional Mac PSP video converter and Mac PS3 audio converter, is specially designed for Sony PSP fans to help enjoy all kinds of videos and audios on Sony PSP/PS3/PSP-3000/PS2 system wherever you are. The smart video converter for PSP Mac can easily convert any video format including AVI, MPEG, WMV, MP4, MKV, H.264, DivX, XviD, MOV, RM, M4V, VOB, ASF, 3GP, and more to Sony PSP/PS3 compatible MP4 (MPEG-4, H.264), AVI, WMV format. It also can rip any audio to Sony PSP/PS3 compatible MP3, WMA, WAV, and M4A format on Mac. It even can extract audio from video to Sony PSP/PS3 compatible MP3, WMA, and WAV format on Mac OS X 10.4(Tiger), 10.5(Leopard), 10.6(Snow Leopard), 10.7(Lion), 10.8(Mountain Lion), and 10.9(Mavericks). 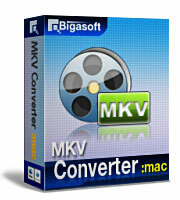 Just free download Bigasoft PSP Video Converter for Mac to play unlimited movies wherever, whenever with your PSP System. "It is amazing that your Mac PSP converter can convert YouTube video to my Sony PSP. Thanks very much." 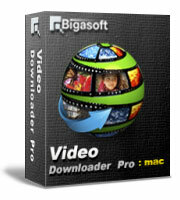 Ready to try or buy Bigasoft PSP Video Converter for Mac? The wonderful Mac PSP Video Converter can convert any popular video format including MOV, MPEG, WMV, MP4, MKV, H.264, AVI, DivX, XviD, RM, M4V, VOB, ASF, 3GP, MOD, TOD, MTS, and more to Sony PSP/PS3 compatible MP4 (MPEG-4, H.264), AVI, WMV on Mac. The wonderful video converter for PSP Mac is also a professional Mac PSP music converter, which can easily encode any music file to PSP audio MP3, WMA, and WAV. The powerful Mac PS3 video converter even helps extract audio from video and then convert to PSP audio MP3, WMA, WAV, and M4A format. You can just set the start and end time of the certain clip if you only want a certain clip from a video with the smart Mac PSP converter. It provides you adjustable parameters including Bitrate, frame rate, sample rate, codec, channel, and more. The ideal video converter for PSP Mac supports batch conversion and enables you convert multiple video and audio files at a time in just one click. The professional Mac PSP movie converter is compatible with Mac OS X 10.4(Tiger), 10.5(Leopard), 10.6(Snow Leopard), 10.7(OS X Lion), 10.8(Mountain Lion), and 10.9(Mavericks) for both Power PC and Intel Mac users.